My wife and I have a blog (www.GeoAstroRV.com). I bought two of your composting toilets and use one in each of the units pictured. 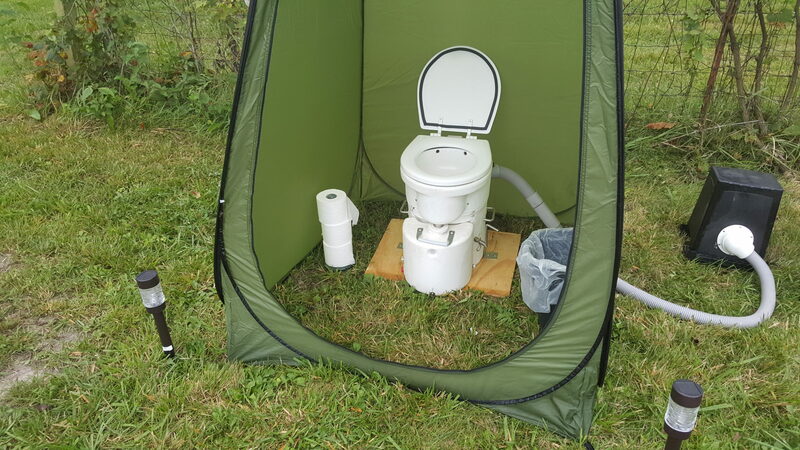 We absolutely love your product and regularly convince others to step up from a Nature’s Head composting toilet. We have showcased your product on numerous vlogs and blogs. We will be featuring it in our presentation again at a South Central Family Motor Coach Association (FMCA) rallies and one will be used regularly by the public for 2.5 months in the solar Mobile Solar MS-325 solar trailer while we give astronomy presentations at Theodore Roosevelt National Park. 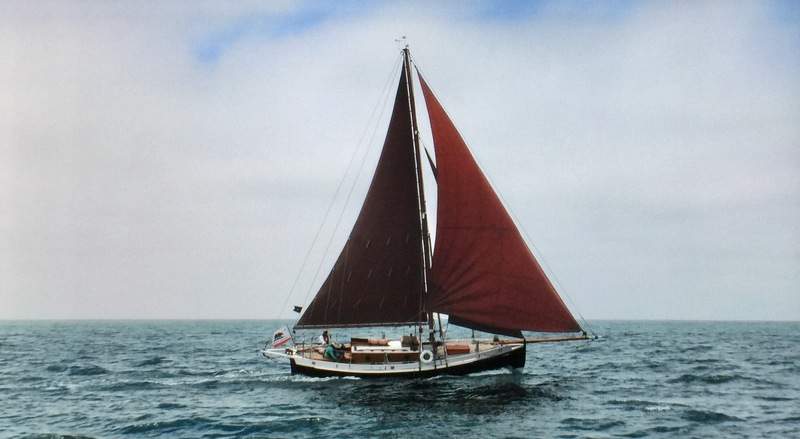 Good to see you again at the Port Townsend Wooden Boat show. 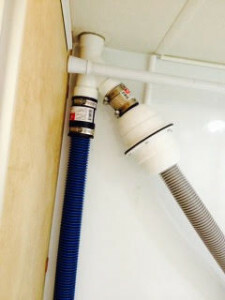 Here are pictures of our installation. I want to thank you again for providing your excellent Air Head Composting toilet. We ended up with 20 men and young men with about half using your toilet. I gave instructions to those wishing to try it and everyone said that it was easy to use and had no smell. We were using it from Friday evening until Sunday morning and our only request was that they not put toilet paper in the Air Head but place it in a waste basket. That seemed to help with the volume control. Attached are some pictures of the setup that work very well for us. We had good weather for the weekend so moisture was no problem. 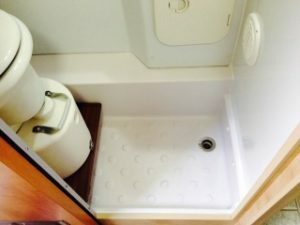 Just want to send some pics of our install in our 2010 Lance 850 Truck Camper and to brag on how much my wife and I love your product. Just returned from a two week trip to Florida and can’t say enough how pleased we our with this product. Laurie had some concerns at first but was very happy with the functionality of the toilet after using it for the first time. I simply love it. No more black tank! As advertised there was no odor. This made both of us very happy. As you can see from the pics, I had very little room to work with. With the Airhead Toilet dimensions this was not a problem. Install went well after doing some major work on replacing the existing shower pan and subfloor and redirecting shower drain plumbing into the old black tank which is now classified has my second grey tank. Got to love it. 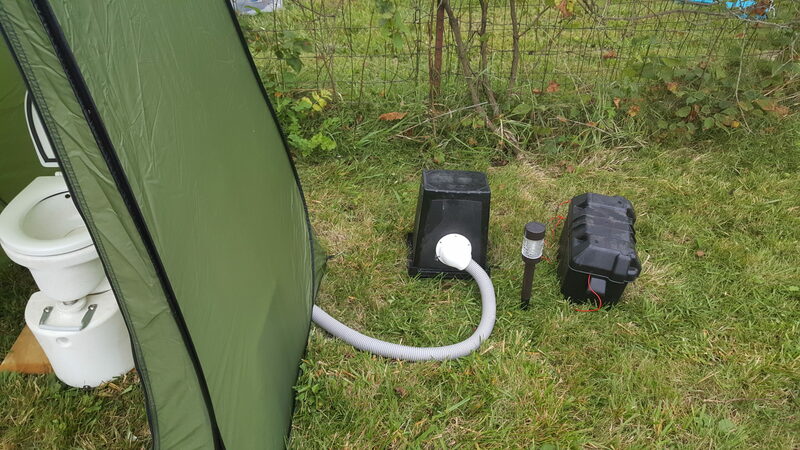 Off grid and winter camping is now much easier. We will be work volunteers at the Overland Expo East this coming weekend. Will be bragging about your product. Hopefully will bring some interest your way. Thanks again for all your help and an awesome product. Fit the new Air Head on Ganges yesterday and it’s perfect! The two of us have been using the Air Head Toilet for some months now. We installed it on dry land to test its capabilities before committing to installing it on our boat. 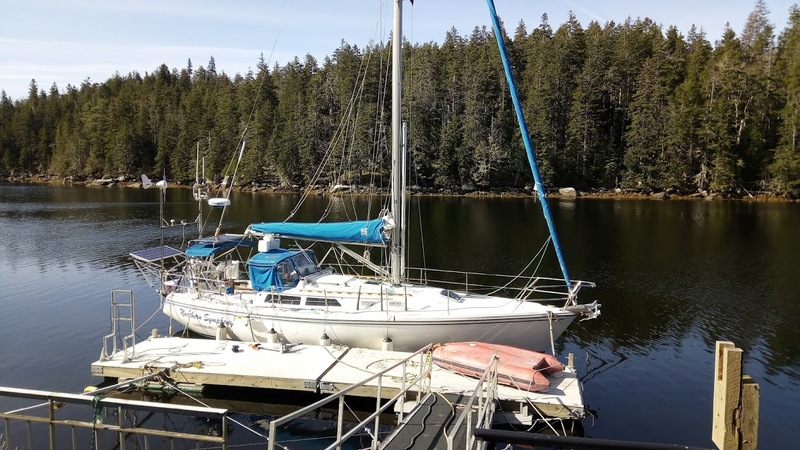 Our experience has been much as yours — excellent, heavy duty marine construction, virtually no odor except for a couple of days on start up when it was just noticeable. Last week we emptied the solids container (for the first time) by simply dumping it into a plastic sack. 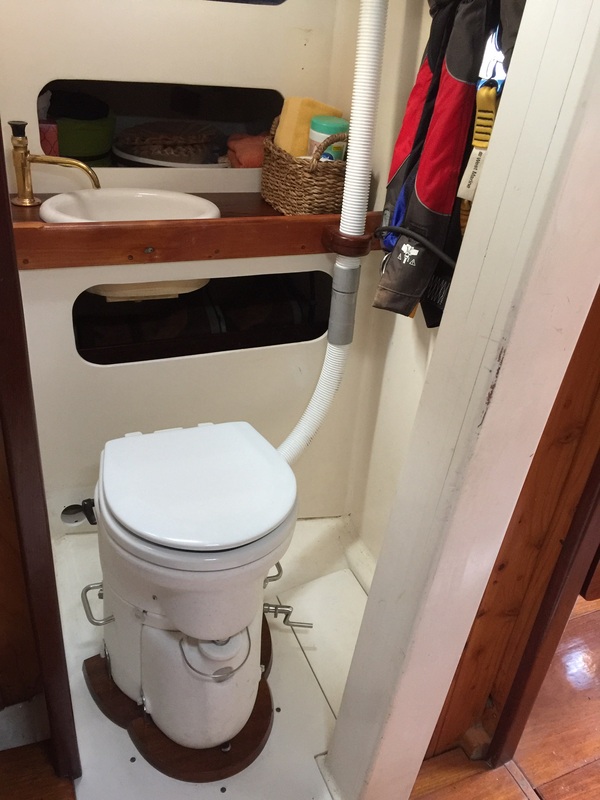 It was mostly a nonevent, a small fraction of the hassle of cleaning/working on any other toilet — marine or house. A real plus for this unit has been the relationship and support with the manufacturer. They have gone very far out of their way with good advice and technical support to make sure the unit worked properly. They are the kind of company that I would like to do more business with, but probably won’t have to. 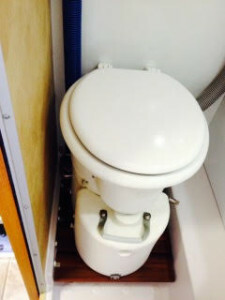 We’ve been using an Air Head composting toilet since 2002 and it has worked beautifully. No holding tank to deal with, no smelly hoses, no problem proving we conformed to the “absolutely no discharge” rules in areas like the Great Lakes and Lake Champlain. No pumps, no clogs, no moving parts. 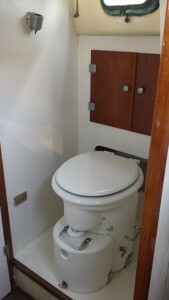 We are on a sailboat and a big plus was the storage space we gained when we got rid of the holding tank. 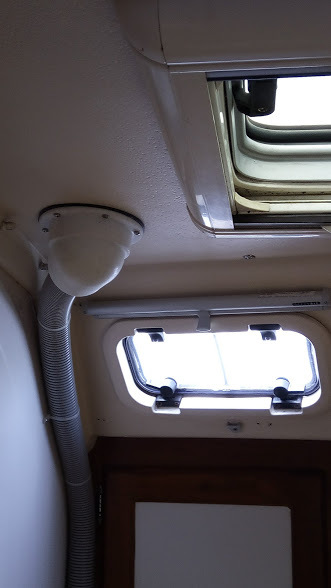 We also freed up 2 thru-hulls when we removed the old head, one of which will be used for a watermaker intake and the other for a manual seawater pump at the sink in case of a power failure. 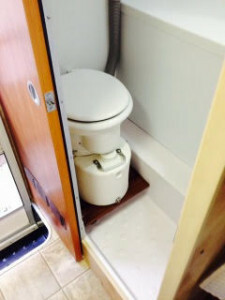 The toilet itself is virtually odor-free (there is a slight scent to the peat moss “desiccant” when you first set it up) and the active vent improves the overall air quality and ventilation in the boat. I keep telling our customers about your system. We now have been using it for 8 years. We are doing the Baja HaHa this year. I’ll make sure to let all the cruisers know about Air Head Toliet. Hi, You may recall I purchased an AirHead about 5 years ago, and am still a happy user! Thank you for the advice. We’ll try it out. I’m also promoting the Airhead at our Yacht club. 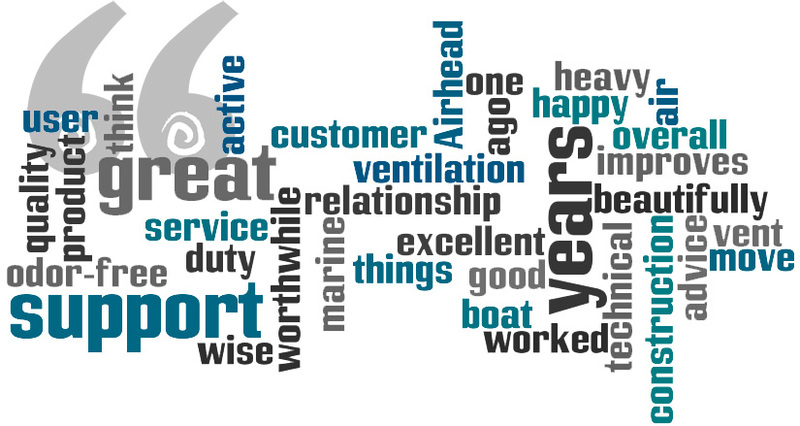 Of all the things that I have purchased for my boat over the years, I think the Airhead has been one of the most worthwhile things. 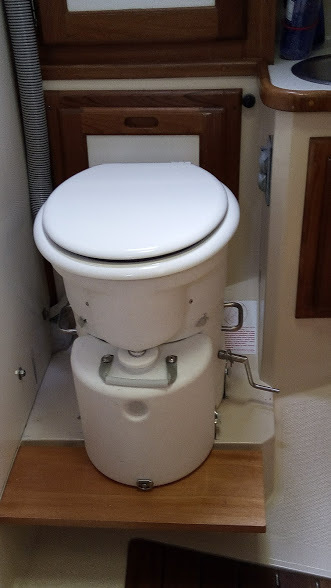 We have an old electric toilet with holding tank and just can’t stand the odors. Really anxious to toss that thing along with its extensive smelly hoses. 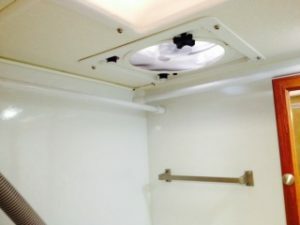 The airhead aboard our Southern Cross 31, Scoundrel, was the only odorless head I have ever encountered in over 40 years sailing! and I emptied it in the fall. 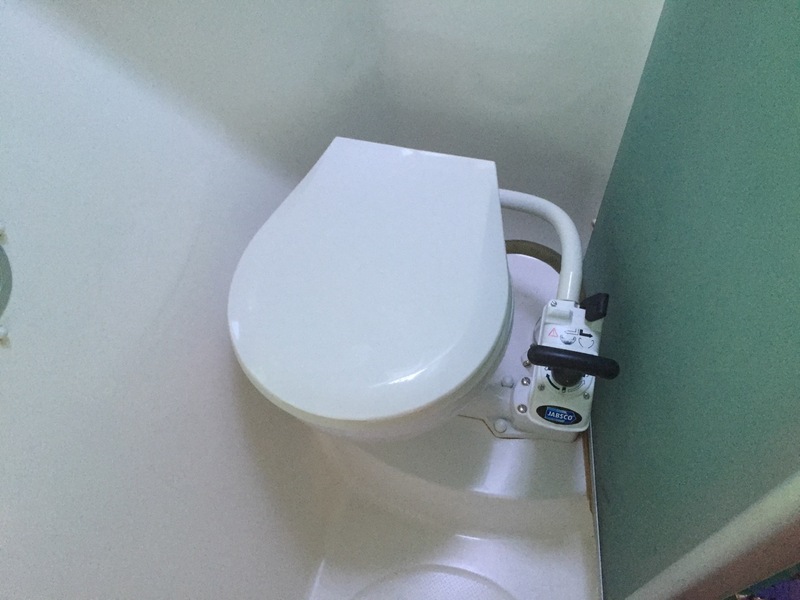 Our toilet has been installed for about a month, and we are loving it.